The evidence? A 1994 New York Times interview. 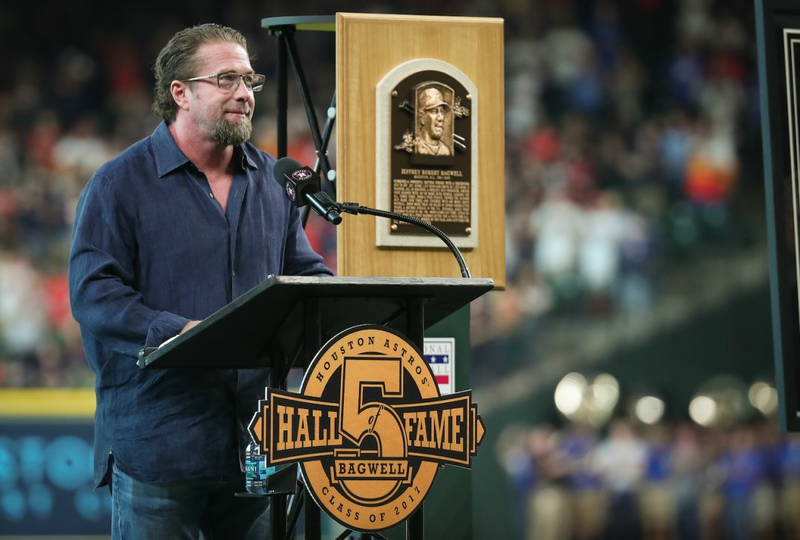 Jeff Bagwell speaks to a Minute Maid Park crowd at an Aug. 5 ceremony honoring his induction into the Hall of Fame. The support and encouragement of one’s family are often crucial to a child’s success in life, and successful baseball players are no exception. And so, in 1994, when the New York Times interviewed a Connecticut police sergeant about her baseball player son, it came as no surprise when the woman boasted that he’d been playing ball since before he could walk. “When he was six months old,” she told the paper, “we'd throw a ball to him and he would throw it back." As babies go, it was an impressive feat, one of many that the sergeant’s son had accomplished in the years since. But there were even bigger accomplishments to come, the woman hinted. "My greatest thrill would be to see him in Cooperstown, in the Baseball Hall of Fame." It is likely that Sgt. Janice Bagwell’s words elicited quite a few eye-rolls and chuckles among readers at the time, her son Jeff having played just a few seasons in the majors at the time. By last week, however, when Sgt. Bagwell at last experienced a thrill 23 years in the making, no one was laughing. Once again, it seemed, an old adage had proved true: faith is father of fact. Or mother of fact, in this case. Not that Janice Bagwell was always spot-on in her predictions. 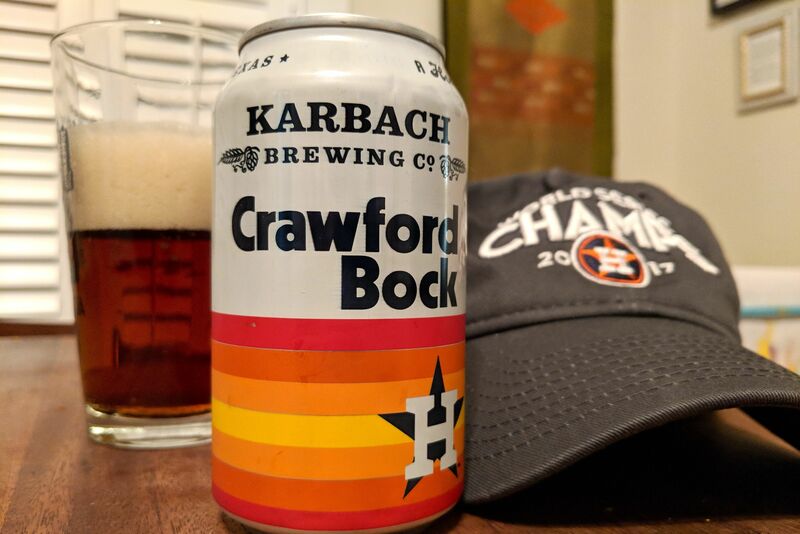 Four years before her Times interview, upon first hearing that the Boston Red Sox had traded Jeff to the Astros, she “cried off and on for a week,” according to the book Houston: Armed and Dangerous, a history of the Astros in the ’90s and ’00s. Both she and Jeff’s father, Robert, had grown up in greater Beantown, both had been rabid fans of the team since childhood, both had dreamed of watching their only son conquer Fenway’s Green Monster, both were thrilled when the Red Sox signed him to a minor league contract—and both were devastated by the trade. “It felt like a tragedy to me,” Janice recalled at the time. Out of tragedy came triumph, of course, as the elder Bagwells quickly began to realize, for it was as an Astro that Jeff Bagwell’s storied career truly began. 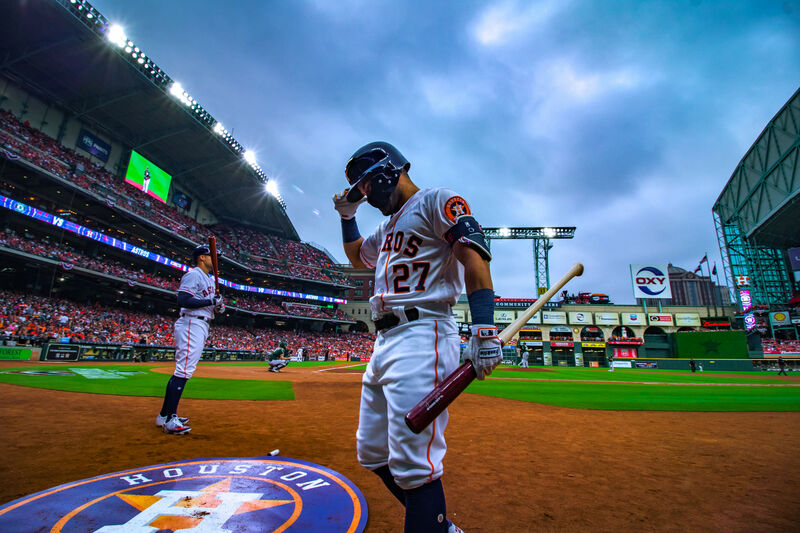 It was as an Astro that he was named Rookie of the Year and Most Valuable Player (the latter by a unanimous vote), as an Astro that he hit 449 home runs and posted a .297 career batting average, both of them franchise records to this day. A day Jeff Bagwell's mother knew would come? 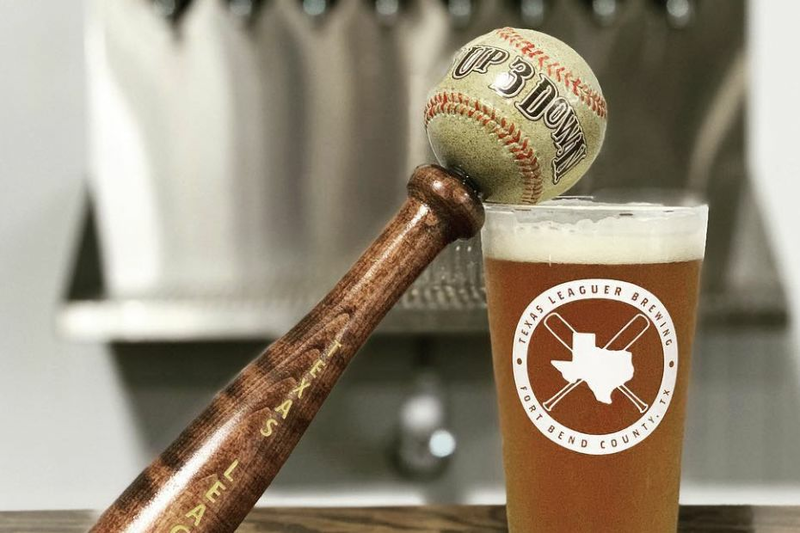 These days, Jeff Bagwell is equally thankful for the support and encouragement he gets from what might be termed the Southern Bagwells, his wife and children. 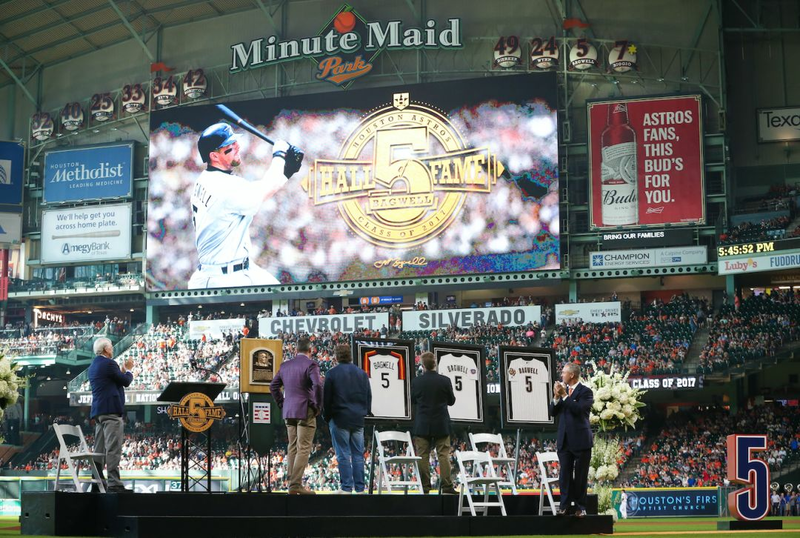 “My family’s from here,” he said to a crowd of thousands at a pregame ceremony at Minute Maid Park, a few days after Cooperstown. “They were born here and make a home here.” And then, looking out at the sea of No. 5 jerseys, it suddenly seemed to dawned on him that there were even more southern Bagwells out there than he'd thought, thousands and thousands of them in fact.